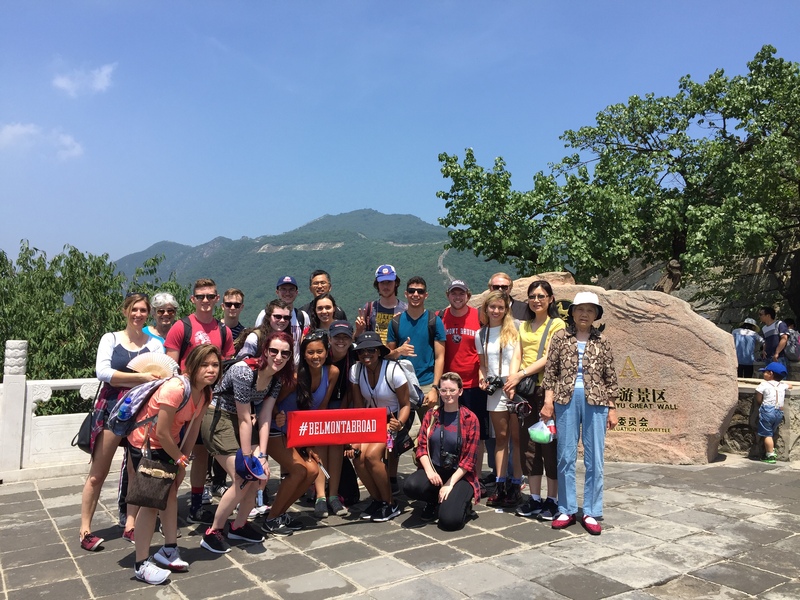 For the 12th year, Belmont students conquered China’s Great Wall, hiking at the famed Mutianyu site and enjoying the tobaggan speed ride from its heights during the University’s first study abroad summer session in China. The group of participants, including 16 students and three faculty members, spent 3 weeks in China during early June visiting China’s Forbidden City and Tiananmen Square, Mt. Tai and Confucius’s home in Shandong province and Belmont’s partner institution, Zhengzhou University, the largest university in China. Using Zhengzhou as their base, Belmont students made excursions ranging from FoxConn, manufacturer of over 70 percent of iPhones used worldwide, to the Shaolin Monastery, home of Chinese gongfu (kongfu). Again this year, the group took gifts to Maria’s Big House of Hope in Luoyang, a Christian facility dedicated to the highest care for orphans with special needs from newborn to age five and founded by the family of Steven Curtis Chapman.